The month of March brings five major anniversaries to be commemorated within the music industry. 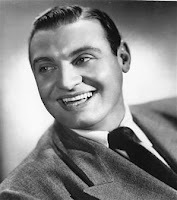 100 years ago on the 30th March 1913, the American singer and actor Frankie Laine was born Francesco Paolo LoVecchio in Chicago, USA. His career spanned 75 years, starting out from concerts in the 1930’s stretching to shortly before his death in 2007 at the grand age of 93. Often billed as America’s Number One Song Stylist, he also went by the nicknames of Mr Rhythm (for his driving, jazzy style), Old Leather Lungs and even Mr Steel Tonsils. He became famed for his many Western movie theme soundtracks, such as 3.10 to Yuma, Gunfight at the OK Corral and Blazing Saddles. His most remembered song however has to be the theme from one of Tatty’s favourite ever TV shows Rawhide, that starred Eric Fleming as Gil Favor and Clint Eastwood as Rowdy Yates. In June 2011, over 60 years after his debut on the UK charts, Frankie’s posthumously TV-advertised compilation set called "Hits" peaked at a creditable No. 16. 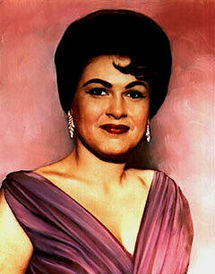 50 years down the line, on the 5th March 1963, American country music legend Patsy Cline died in a plane crash at the premature age of 30. Born Virginia Patterson Hensley in September 1932, Cline was one of the most influential, successful and acclaimed female vocalists of the 20th century, and has been cited as a major influence and inspiration by many singers in numerous genres. Many people’s (and Tatty’s) favourite song by Patsy was the Willie Nelson penned “Crazy”. A song she initially vehemently disliked, it was to become her biggest ever pop hit, reaching a high of no.9 on the US Hit 100. The same month back in 1963 saw the release of the Beatles first album “Please, Please Me” (March 22nd). 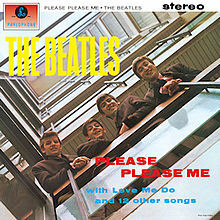 Upon its release, the same magazine had championed the idea of the first self-contained rock band, writing their own songs and playing their own instruments. Little did they, or the world know of the dramatic change to music and life that was about to take place. 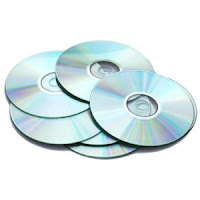 The 2nd March 1983 was the birth date in Europe and the US of compact disc players and compact discs, with both going on sale for the first time (Compact disc players were actually first released in Japan on 1st Oct 1982). At that time, only 16 albums were available on the format that was to eventually pretty much wipe out both vinyl and music cassettes. 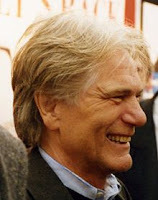 10 years ago on the 8th March 2003, British teen idol Adam Faith passed away from heart failure at the North Staffordshire hospital in Stoke-on-Trent, England. Born Terence Nelhams-Wright in June 1940, Faith was one of the UK’s prominent early pop stars although he always had pretentions as an actor, after working initially as a film cutter in his native London. Discovered by music producer Jack Good, when singing with a skiffle group appearing on a BBC TV live music show entitled the Six-Five Special, Faith was offered a solo recording contract with HMV. In later years his acting career came more to the forefront, starring in the LWT series “Budgie” and in movies alongside David Essex (Stardust), Roger Daltrey (McVicar) and Jodie Foster (Foxes). He also went into music management, handling the early career of Leo Sayer amongst others. Sayer once claimed in a newspaper article that "He handled everything for me, but although he was a very good mentor, he was less trustworthy with my money. In the end, Adam Faith made more out of Leo Sayer than I did." 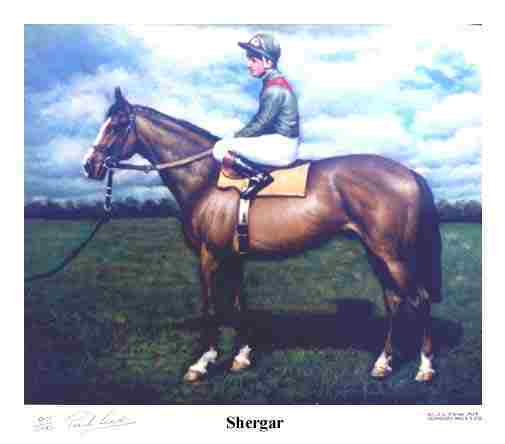 It was 30 years ago, on the 8th February 1983, the 1981 Epsom Derby winning racehorse Shergar was kidnapped from the Ballymany Stud near the Curragh, County Kildare in Ireland. Born in 1978, the colt was bred and owned by HH the Aga Khan IV and trained by Champion trainer Michael Stoute at Newmarket, Suffolk, UK. His major wins throughout his racing career included the Guardian Classic Trial, the Chester Vase, Epsom Derby, Irish Derby and the King George VI and Queen Elizabeth Stakes at Royal Ascot. He started as favourite at Epsom for the Derby, being ridden by 19 year old Irish jockey Walter Swinburn. He won the race by a record 10 lengths and earned the title of European Racehorse of the Year for 1981, being retired to stud at the end of the season. The Aga Khan decided to stand the colt in Ireland as opposed to the expected decision of sending him to the United States. In his first season he produced 35 foals, with his owning syndicate being able to charge a stud fee of between £50,000 and £80,000. The most successful of his initial issue was 1986 Irish St Leger winner Authaal. On a foggy February evening at 8.30pm, a Ford Granada towing a horsebox arrived at the Ballymany Stud. Ten minutes later a knock was heard at the door, which was answered by Bernard FitzGerald, son of stud groom Jim. FitzGerald was forced to take the intruders to Shergar’s stall and helped the gang of 6 men to load the equine mega-star into a double horse box. Over the next few days, while the Police searched every available stable and outhouse throughout the Irish Republic, the thieves started negotiations about collecting a £2m ransom for the horse. What actually happened to the horse has never been found out and the thieves have never been brought to justice for their actions. It is believed that the IRA were responsible, but they have never actually claimed responsibility for the crime. It is believed that the horse was shot within hours of his kidnapping as the thieves, who seemed to have little experience of horses – especially with a nervous, highly-strung stallion – would have been unable to handle him. For a fuller story of Shergar and what happened that night, along with theories as to events after the kidnap, please click on the following link to an excellent Daily Mail article on the subject. Do you remember when Shergar was kidnapped? Did you ever see him run? How did he compare with other flat racing greats of the 20th and 21st centuries?